We believe that a love of good food starts early. 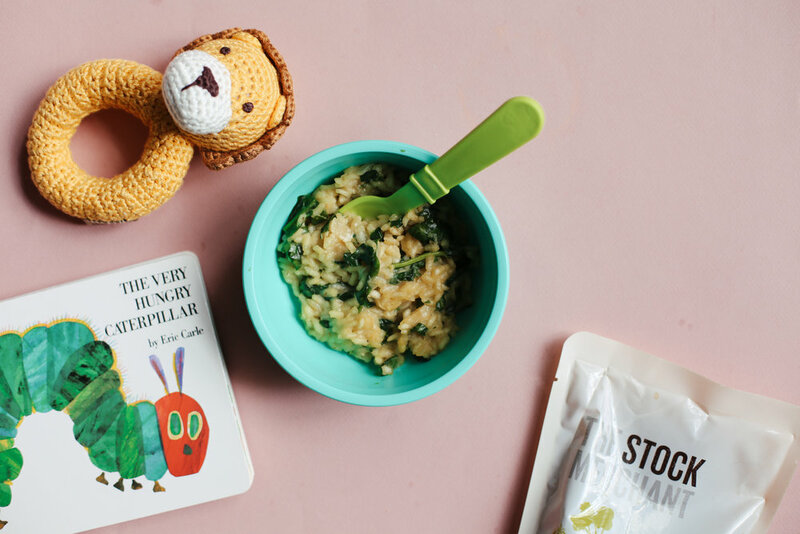 Using stocks or bone broths in baby food not only helps your child develop their sense of taste, it also makes eating more healthy and enjoyable. Our Free Range Chicken, Grass Fed Beef and Traditional Vegetable Stocks and Free Range Chicken and Grass Fed Beef Bone Broths are the only stocks and bone broths on the market that have no added salt, no yeast extracts and no other flavour enhancers. We also only source our chicken and beef bones from free range, pasture raised and grass fed animals. Absolutely no antibiotics or growth hormones are used and the chickens and steers are raised in natural, humane conditions. In lieu of water or milk as a liquid base for purees, broth provides a hefty dose of vitamins, minerals and essential amino acids. Familiarising your baby with flavours of vegetables, meats and herbs, is an opportunity to broaden their palate and develop healthy eating patterns that will continue into adulthood. Broth contains easily-absorbable calcium and magnesium, fundamental for growing healthy teeth and bones. Our Bone Broths are packed with amino acids, which are essential for strengthening the immune system. Which our range do we recommend? The following products are free of salt, and a fantastic addition to your homemade baby food.